* Prices incl. VAT. VAT. Excl. Shipping costs. 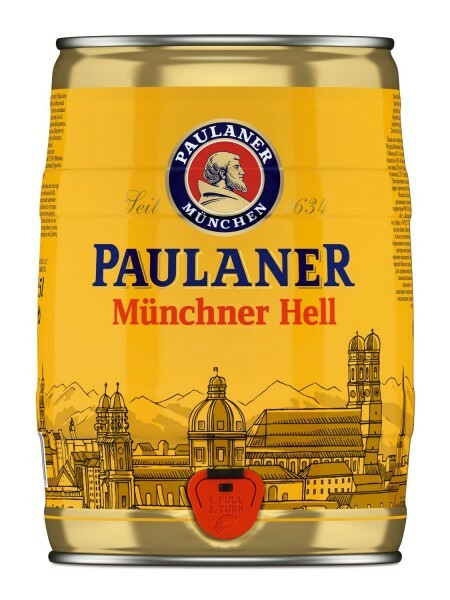 Product information "Paulaner Muenchner Hell 5 liters of 4.9% vol party box"
Related links to "Paulaner Muenchner Hell 5 liters of 4.9% vol party box"
comment "Paulaner Muenchner Hell 5 liters of 4.9% vol party box"
Customer evaluation for "Paulaner Muenchner Hell 5 liters of 4.9% vol party box"
Warsteiner Pils 5 L Party Box 4.8% vol. Frueh Koelsch 5 L party barrel 4.8% vol. Ulmer Pilsner Party barrel 5,0 liter 5,2% vol. Ulmer Export Party barrel 5.0 liters 5.4% vol. 20 x Loewenbraeu Original 0.5 L 5.2% vol.